With Brexit negotiations now officially underway, Kent businesses are readying themselves for the time after the UK leaves the European Union. But how does one prepare for the unknown? In light of the falling pound, a possible return to border controls and stricter immigration rules, how does one build a resilient business that can weather an extended period of economic uncertainty? And, most importantly: how can businesses take advantage of their location in Kent? At the exclusive half-day summit Shaping Kent’s future in a global economy – organised by Kent Business School (KBS) in partnership with the Institute of Directors (IOD) and the Federation of Small Businesses (FSB) – Kent business leaders will discuss how to prepare for the UK’s exit from the European Union. Roundtable discussions give way to a plenary with national and international speakers, chaired by Louise Stewart, former political editor for BBC Southeast and current Head of Communications for the FSB. By providing a platform for directors and owners of Kent SMEs and corporates to share expertise, KBS and its partners want to help build a resilient Kent business community and facilitate a dialogue with (local) MPs and government about challenges and opportunities ahead. The outcomes of the summit will inform research into the short and long-term economic implications for the first country to leave the EU. 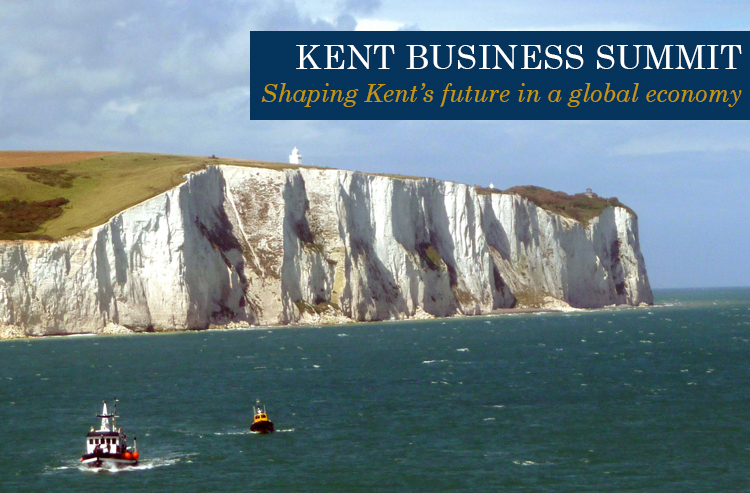 It is our aim to make the Kent Business Summit an annually returning event, which monitors, on an ongoing basis, Kent’s economic position in the UK and abroad. Regardless of whether Brexit will happen or not, the economic face of Kent is changing. We want to create a platform where Kent businesses can come together with government, politicians and academics to discuss the challenges and opportunities in developing a healthy business community and sustainable economic growth for the county. Owners and directors of small and medium-sized businesses (including start-ups) and corporates who wish to have a constructive dialogue on the way forward for the Kent business community. Summit report, sent to all attendees post-event. For an additional £20, delegates can attend a 3-course lunch with Kent MPs post-event at the University’s Darwin Conference suite. Spaces are limited, so book your place early.